Is Your Religion a Cult? Of Course It Is! When I was a little kid I started a club. It was kind of small, only four members including me. Nonetheless I was the leader and I made the rules. The only rule I actually remember was very simple, and very childish. 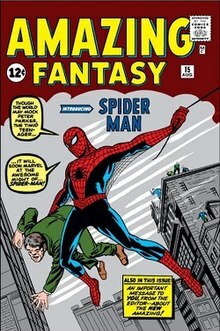 The rule stated that no club member could believe that super heroes were real...except for my favorite one at the time...Spiderman. Who would have thought that at age 7, I actually understood the foundation of all religions..."your personal favorite fairy tale is the only one in which you may believe." With all the debate about health care reform (which is NOT what is going on...see below), the epidemic of American idiocy is being totally ignored. The debate about the state of health care serves to demonstrate how economic overlords have completely destroyed the average American's ability to think critically or to see the obvious. American's are fooled into being their own worst enemies on so many levels. But when it comes to the debate on health care, it is absolutely frightening to see how stupid this nation has become. We Don't Need MORE Jobs and More Credit, We Need Fewer Jobs and Debt Relief! I want you to think long and hard before you try to answer these two questions. I want you to think about your answers because you need to give your mind a chance to break free of the brainwashing it has been subjected to by our establishment representitives in government and their reality control agents known as the mainstream media. As each minute passes, humanity progresses technologically on almost every level, or almost every level. I can only think of two exceptions here. One would be space travel. Putting a man on the moon is the only thing that humanity was supposedly capable of doing that we are no longer capable of doing technologically. Interestingm isn't it? How did we accomplish such feat in eight years using 1960s technology yet we can not do the same thing today? As a matter of fact a recent study found that if we wanted to put a man on the moon today it would take us twenty three years to do so...even with our exponentially advanced technology. Makes you wonder...or at least it should. The other area we are not progressing is in the area of curing or preventing deseases. We can "treat" a multitude of deseases if our medical establishment is designed to ensure people continue to get these deseases for if they don't the very insustry that cures them will be obsolete. Kind of a self defeating model. Even worse, with a desease like cancer, health care professionals who make a living finding and treating the desease are encouraging and advising us to screen for the desease more often, using screening methods THAT CAUSE CANCER!! !...How stupid are we humans? So here we are in the new milenium. We have machines and computers doing more work than any humans can do. Machines and computers don't require salaries, health insurance, bonuses or time off for the most part. They cost less than people...so why are prices for everything always rising? Shouldn't they be going down? When it is so much easier and cheaper to produce product, why have product prices gone up as apposed to down? TvNewsLIES.org Needs You Today! Take 5 Minutes to Be a Journalist. New Yorkers Beg for Another Blackout!